1. Brush and floss teeth thoroughly. 2. Rinse mouth with water or mouthwash. 3. Remove an "upper" strip and a "lower" strip. 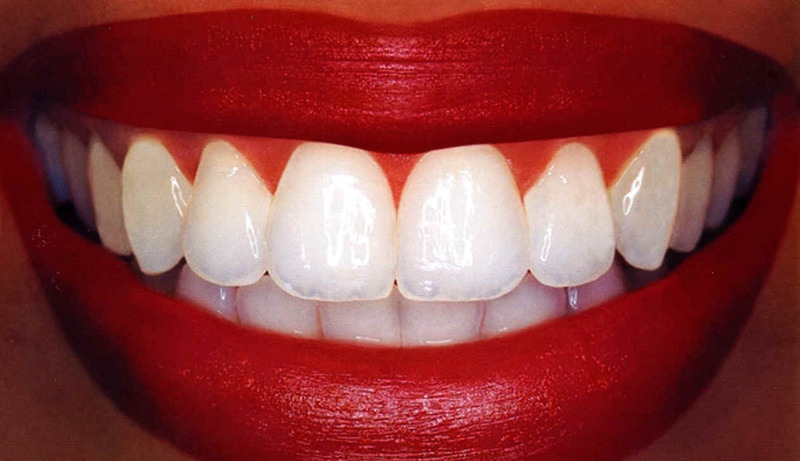 The strip labeled "upper" goes onto the top teeth. The one labeled "lower" should be placed on the bottom teeth. Be sure that the tacky side of the strip is firmly adhered to the teeth and that the fronts of the teeth are completely covered by the strips. 4. Let the strips sit on the teeth for 30 minutes. It is recommended that the procedure be performed twice per day, once in the morning and again at night. 5. Remove the strips and dispose of into the garbage. 6. Rinse teeth with water or mouthwash. For the whitest smile it is recommended that you rinse with a mouthwash that contains peroxide, the whitening agent used in the bleach strips. Different manufacturers and brands have varying times that will pass before results are seen. In general results will be seen within three to five days.